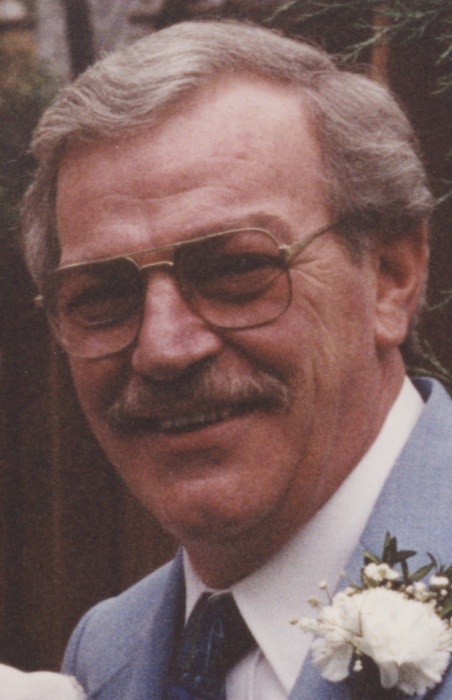 Obituary for Ronald E. Hoffman | McIlvaine-Speakman Funeral Home LTD.
Ronald E. Hoffman, 79, of Washington passed away peacefully Tuesday, April 10, 2018 in Donnell House, Washington. He was known by many of his friends as “Hoffy” or “Hoff”. He was born April 8, 1939 in Houston, a son of the late Edward and Gladys Meredith Hoffman. Ronald was a 1958 graduate of Chartiers-Houston High School where he played football, wrestled and was a Fire Warden. He had worked at McGraw-Edison in Canonsburg, the Finley Mine and retired from the maintenance department of Chartiers-Houston High School. Ronald was a former member of the First United Methodist Church in Houston. He was also a life member of the Arms Club and a member of the American Legion Post #175, the Elks Lodge #0776 all of Washington and the Labor Temple in Canonsburg. Ronald enjoyed fishing, feeding the birds in his yard and playing solitaire. He was also a big Pirates and Steeler fan and loved his dog Penny and his cat Benji. Ronald is survived by his wife of 25 years Jean Ann Hawes Hoffman of Washington who was originally from Woodbridge, England where Ronald visited twice and really enjoyed. Also surviving are a son, Ronald E. Hoffman, Jr. of Houston and two daughters, Tamela and Michele Hoffman, both of Washington; six grandchildren Courtney Hoffman and BreAnna Mettz, William Thompson, Dennis Tate, Jr., Nicholas and Eli Taylor; six great grandchildren, Angelina, Sierra, Jordan and Jada Taylor, Aaliyah Tate, Nicholas Taylor, Jr and Eli Taylor, Jr.; four step daughters, Carolyn Bonus, Valerie Bonus, Jackie Kotchman (Tracy) all of Washington and Linda Klock (Ian) of McMurray; two step sons, Samuel Bonus (Sarah) and Alan Bonus of Washington; 12 stepgrandchildren, Cherie Bonus, Angela Kisko, Allison Phillips, Cassaundra Alderson, Sierra Kotchman, Alexaundra Klock, Aaron and Adam Naraskivitch, Jeremy Bonus, Josiah McBride, Nathan Bonus and Jesse Kotchman; several step great grandchildren; and many nieces and nephews and friends. Ronald is also survived by his first wife and the mother of his children, Sylvia Marie Horne. Deceased are sisters, Mildred Cushey and Louise Houston and a brother William who died in infancy. Friends will be received from 2 to 4 and 7 to 9 Thursday, in the McIlvaine-Speakman Funeral Home Ltd., Robert K. McIlvaine, Owner/Supervisor, 27 Cherry Ave., Houston, PA 15342, where services will be held at 11:30 a.m., Friday, April 13, 2018, with Rev. Gary Gibson officiating. Interment will follow in Oak Spring Cemetery, Canonsburg.